Dr Shantha Kumari Sekaran is a senior gynaecologist and laproscopic surgeon. She studied her MBBS in Gandhi Medical college, Hyderabad. Dr. Shantha Kumari is a passionates Obstetrician and Gynecologist. She did Obstetrics and Gynecology as a specialization in Post graduation. She completed her MD in ObGyn at the Kasturba Medical College, Manipal. She maintained a fine balance throughout her career between pure academics, patient care and social service. She taught medical students at the Deccan Medical College in Hyderabad where she became a Professor in ObGy and remains extremely popular with her students. 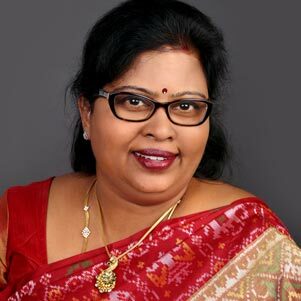 She also was a senior consultant at Care, a corporate hospital in Hyderabad and presently is at Yashoda Hospitals where she specializes in performing challenging Laparoscopic surgeries apart from routine ObGy practice. She was bestowed with the Fellowship of the Royal College of physicians of Ireland (FRCPI) in June, 2017 and also awarded the very prestigious Fellowship of the Royal college of Obstetricians and Gynecologists (RCOG) of London-Fellow Honoris Causa in recognition of the services she rendered to the cause of women worldwide in March 2018 at the RCOG Congress. Rising through the echelons of medical community activity she became Vice president (South zone) of the Federation of Obstetrics and Gynecological Societies of India (FOGSI) in 2013 which represents the largest conglomerate of ObGyn practitioners in the country. She was the Secretary and is the Chairperson of the prestigious Indian College of Obstetrics and Gynecology (ICOG) which is an academic pall bearer setting standards of education in ObGy in India. She represents India in the International Federation of Obstetrics and Gynecology (FIGO) and is now a very active member of the FIGO working group on "Violence Against Women" (VAW). National Corresponding Editor for The Journal of Obstetrics & Gynaecology of India. Secretary TCOGS 2015 - 2018. Chairperson Medical Norms Nomenclature Records Research Committee 2008 - 2010. 2007 Yuva FOGSI Kamini Rao Orator - South zone. 1998 Awarded C. L. Jhaveri Award at 42nd AICOG. 1997 Young Scientist Award at National IAHR. Topic: "Episiotomy Repair Techniques, Sutures & Needles"
Topic: "TORCH infections in Obstetrics"
Topic: "Ovarian Volume by TVS in Prediction of Ovarians response to Induction of Ovulation". 2017 - Organizing Secretary of FOGSI FIGO International Congress on Clinical Challenges In Obstetrics & Gynaecology. 2013 - Organizing Secretary of FOGSI FIGO International Conference on Recent Advamces In Obstetrics & Gynecology. 2012 - Organizing Secretary of International Confernce on Infertility. 2011 - Organizing Secretary of the '54th AICOG' - All India Congress of Obstetrics & Gynaecology held at Hyderabad, A.P. 2009 - Organizing Secretary of the 'IAGE 2009 Conference' held at Hyderabad. 2009 - Treasurer of the 'OGSH Annual Conference YUKTI 2009' in Hyderabad. 2008 - Organizing Secretary of the "Mega Health Camp & Public Awareness Programme", 'FOGSI Astra Bharat Jagruti Yatra Project' held at Hyderabad. 2008 - Organizing Co-Chairperson for 'OGSH Annual Conference YUKTI 2008' in Hyderabad. 2008 - Organizing Co-Chairperson of the 'Workshop on HIV - Operational zing implementation of PPTCT services in the Private sector' held at Sangareddy, A.P. 2007 - Organizing Co-Chairperson of the 'DAKSHIN 2007' held at Hyderabad. 2007 - Organizing Co-Chairperson of the 'FOGSI SATELLITE CONFERENCE ON PRE ECLAMPIA & PPH' held at Hyderabad. 2007 - Organizing Co-Chairperson - 'A walk to commemorate FOGSI Girl Childs Day' held at Hyderabad. 2007 - Organizing Co-Chairperson - Workshop on "Obstetric Drills" at Hyderabad. 2006 - Organizing Secretary of the 'OGSH Annual Conference' in Hyderabad. 2006 - Organizing Secretary of the 'Laparoscopy Live Workshop' held at Hyderabad. 2005 - Organizing Secretary for 'YUVA FOGSI' - South Zone Conference held at Hyderabad in July. 2005 - Organizing Secretary for ICOG Workshop on 'Non Descent Vaginal Hysterectomy & Urinary Stress Incontinence' in March held at Hyderabad. 2005 - Organizing Secretary of the 'Labour Workshop' in August at Hyderabad. 2004 - Jt. Organizing Secretary for 'International Gynaec Oncology Conference' at Hyderabad. Obstetrics & Gynaecological Society of Hyderabad -OGSH. Indian Association of Gynaecological Endoscopy - IAGE. Indian Medical Association - IMA. Gandhi Medical College Alumni Association.